The perfect gift to slip under your loved one's pillow! 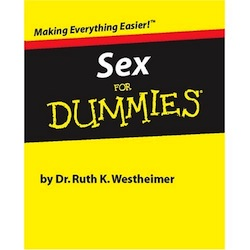 This educational guide features advice on everything from procreation and puberty to courtship and commitment. Dr. Ruth also provides her own prescription for true romance-and encourages lovers to be spontaneous, playful, and loving.